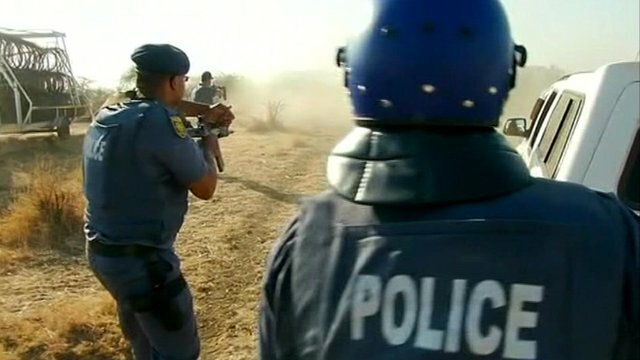 Inside a South African gold mine Jump to media player A year on from South Africa's deadly Marikana mine dispute, Mark Lowen was given rare access into a gold mine to see what conditions are like and to follow the mining process. 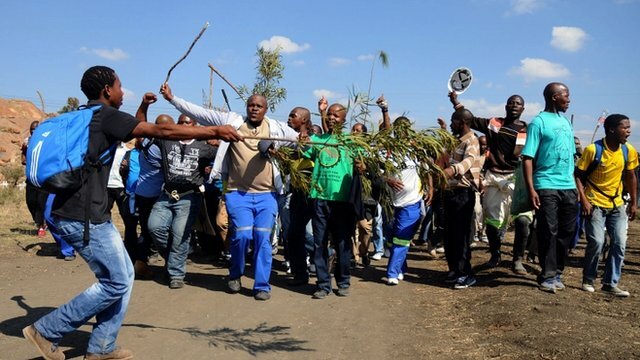 Lonmin workers on strike after shooting Jump to media player Workers at Lonmin's platinum operations in South Africa have gone on a wildcat strike. The woes of the SA mining industry Jump to media player Mining industry leaders are to gather in South Africa this week, for a summit on the future of the mining sector. 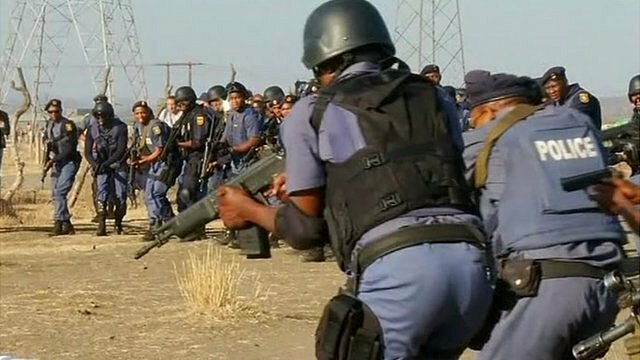 Marikana police 'planted weapons' Jump to media player South African police have been accused of planting weapons on the bodies of dead workers killed at the Marikana mine in August. 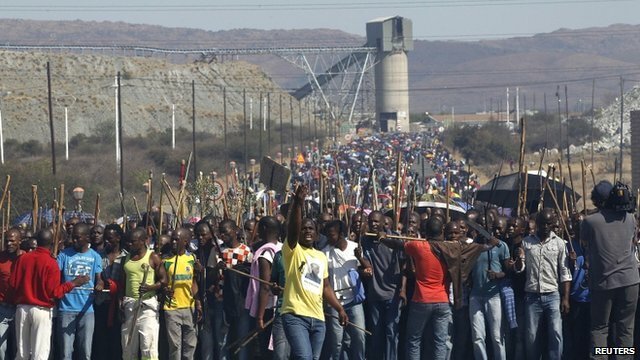 Armed miners march on Marikana Jump to media player Thousands of armed strikers have marched on Lonmin's Marikana mine in South Africa, where thirty-four of their colleagues were shot dead in August. 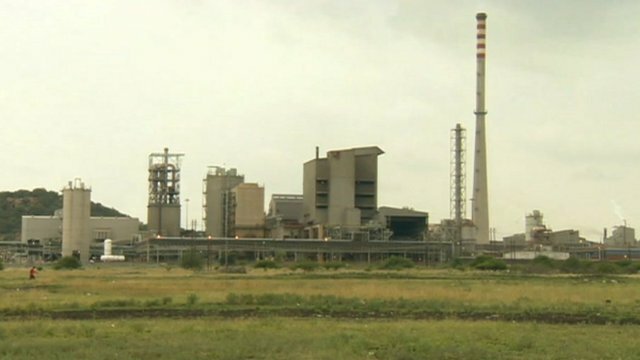 Scars run deep after SA shootings Jump to media player The world's third biggest platinum producer - Lonmin - is hoping the striking miners at its Marikana plant in South Africa will return to work this week, but the country is deeply shaken by what happened. 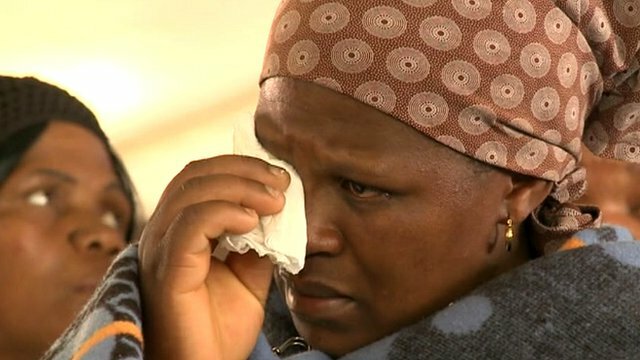 Friday marks a year since 34 miners were shot dead by police in the South African town of Marikana in a dispute over wages. Mine unions say there has been little improvement since then. South Africa's economy has long been driven by mining but production has dropped over the decades. 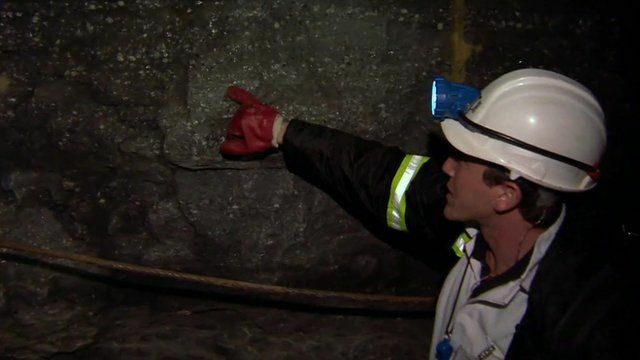 Mark Lowen was given rare access into a gold mine to see what conditions are like and to follow the mining process.